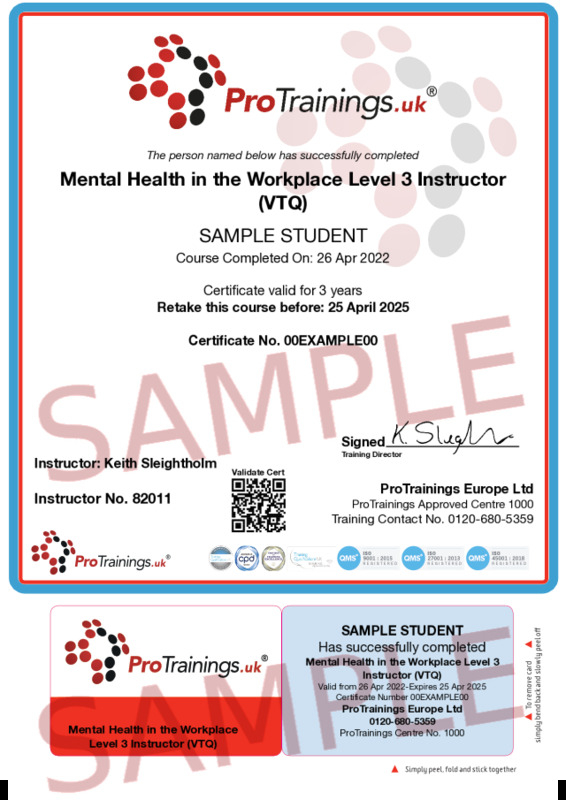 This course is designed to teach ProTrainings instructors on how to deliver the ProTrainings Mental Health in the Workplace Course. The course is delivered over two consecutive days and there is pre-study which must be completed before attending the classroom training. There is a high demand for this type of training in the workplace. The topics covered include understanding mental health, how to recognise mental ill health problems and supporting an employee with mental health-related problems.